Ever wondered which cities in America have the best parks, the best coverage of parks or the most playgrounds. You're in luck if you've been searching for this thanks to the Trust for Public Land and its Center for City Park Excellence. In "The Best City Park Systems in America", The Atlantic Cities describes that the Center has worked over a year to compile data from cities across the country. 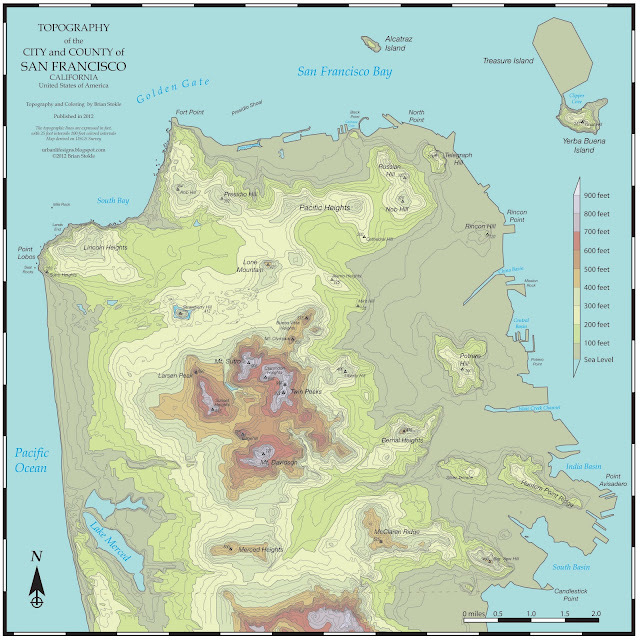 Through GIS data analysis of spatial information, and months of work, ParkScore gave San Francisco the highest score with 74.0 points out of 100. In last place is Fresno, California at #40 with 21.5 points. 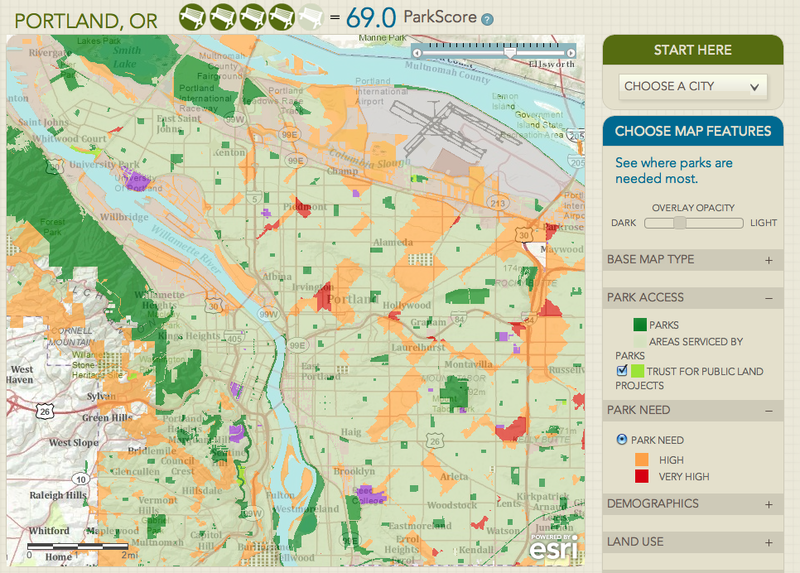 The ParkScore web site, provides great maps, and summaries of all 40 large cities it analyzed. The most useful feature is the "Park Need" layer. Orange indicates a "high" need, while red indicates a "very high" need. Anything better than that is in a pleasantly light green. Below are the top 7 and bottom 7 cities. 35. San Antonio (35.0) - what about the River Walk??? We know a lot about San Francisco and Fresno since we've lived in both cities. 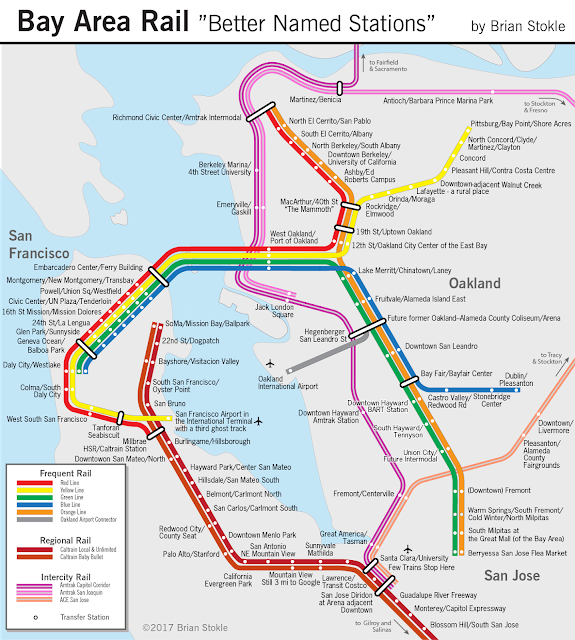 We even know about the #2 and #3 cities, Sacramento and New York (tied with Boston for #3). Suffice it to say that although the parks offered in San Francisco, Sacramento, New York, and by our observations, in Boston, they clearly have strong and extensive park systems that put the bottom three cities Fresno, Charlotte and Louisville (#40, #39 and #38th) to shame. With all that said, let's not forget that in any city, there are diamonds in the rough, as demonstrated by the photo above of Fresno's Woodward Park. Also, although the Underground Gardens in Fresno are not really a park, rather an underground house and gardens, they are sure a gem and should be explored and thought of as a park. Hometown defense aside, we support the call for better parks in all of our cities. San Francisco could have score 100, but it didn't. For all we know, Boston will be #1 next year. We do need more playgrounds, more parks, and easy access to the parks. Access is critical, especially in more suburban and car dependent cities where cul de sacs and circuitous streets create longer walks to park. The analysis took into account physical barriers such as railroad tracks to determine the walking time to parks. ParkScore awards each city points for access based on the percentage of the population living within a ten-minute walk of a public park. A ten-minute walk to a public park is defined as a half-mile to a public park entrance, where that half-mile is entirely within the public road network and uninterrupted by physical barriers such as highways, train tracks, rivers, and fences. Finally, it's not always quantity, but also quality. We need to always make sure that we have, maintain and build quality parks that are active to all groups in our cities, and attract many people. A big empty park is dangerous and a waste. A small but well used park is better.